Spleodar Nenagh Community Arts Festival is nearly here! The Spleodar annual week-long arts festival for children takes place during the October midterm break. The festival has established itself as a key event in the Nenagh calendar with lots of creative workshops and events from tots to teens through the week. We are so excited about this years festival and look forward to seeing you at some of the events! 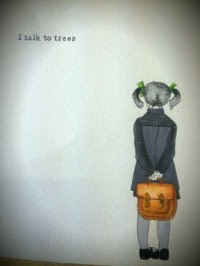 “Passing Thoughts” explores childhoods mislaid memories of school days. In this exhibition Anne Marie Morrin uses objects to evoke thoughts and feelings that are associated with a specific time (in this case school days of the 80’s). 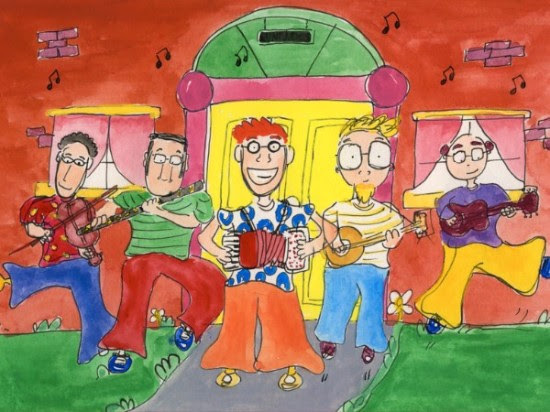 The Speks present a lively show of nursery rhymes and sing-along songs set to acoustic Irish music. 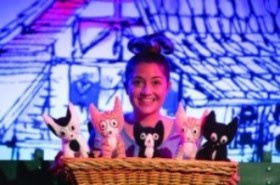 Their hand-clapping, toe-tapping, hearty-laughing show is all about life on Glasses Island. A workshop for children and their families with activities including making and decorating kitten masks and playing cat themed games. Learn all about historic and modern artists who use imagination in their work. Write stories, create characters and make your own imaginative drawings, based on ghostly, magical and imaginative themes. 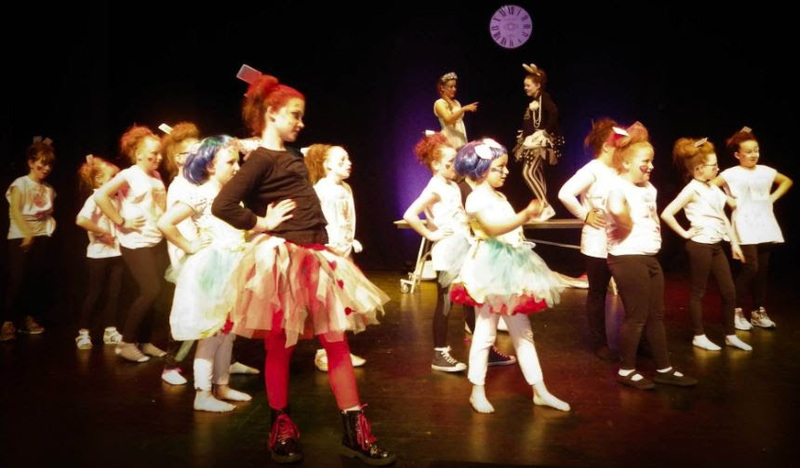 Urban Kicks Dance Thurles in association with Spleodor Arts Festival invite you all to THE WELCOME TO WONDERLAND TEA PARTY. Come along for a workshop of fun, festivity and dance. A family friendly stand-up comedy show for kids! AND BIG KIDS! We bring top comedians from the comedy circuit with silly jokes to make you giggle and grin and laugh out loud. 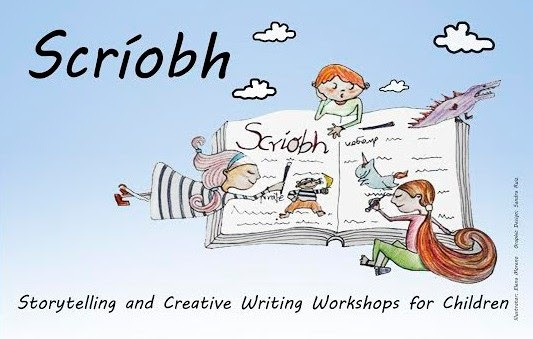 Scríobh is a storytelling and creative workshop for young people, established by Niall Cleary and Javi Gimenez in association with Galway County Council Arts Office. It is inspired by Fighting Words in Dublin. 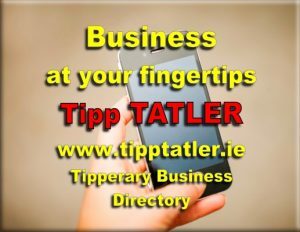 Tickets for this event can be gotten from Nenagh Arts Centre, Banba Square. Participants will be encouraged to step into the shoes of a fashion designer. 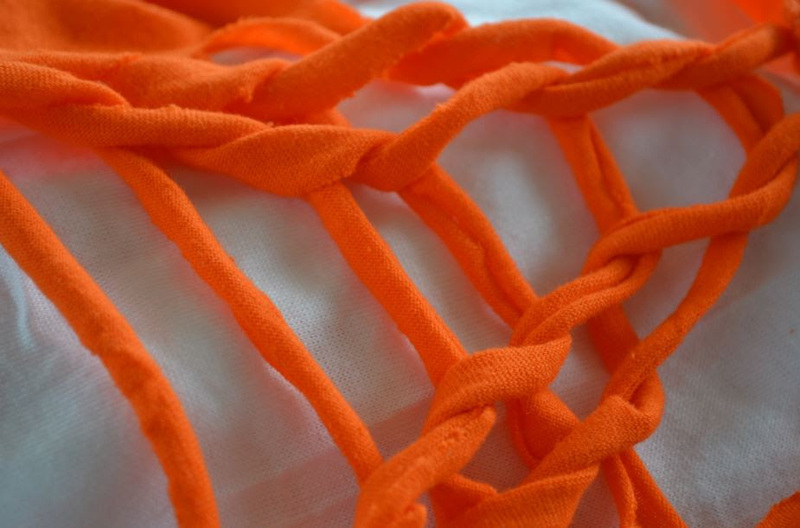 Starting with an ordinary piece of clothing (a T-shirt) children/teenagers will learn about how to create individual designs by using tailoring techniques such as: tracing, cutting, stitching, looping and twisting. A hands-on – or feet-on if you’re not too ticklish! – chance to make your very own cast. 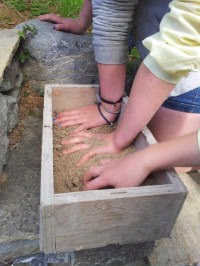 Press your foot or hand into a specially-prepared sand-box and we’ll fill it with quick-setting Plaster of Paris which you can bring home and decorate. Pitschi lives with her cat family, Grandma Lisette and a dog called Bello on a farm high up in the Swiss Alps. She doesn’t much care for kitten play and dreams of being something else. Puppeteer Thomas Baker and multi-instrumentalist Boris Hunka return to Nenagh on board the Music Gen Bus – a double-decker bus. Using your imagination, create your own drawing animation around a mythical and magical theme. 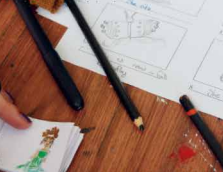 Write a story, develop characters and scenes, make a flick book animation and watch your drawings come to life in the Zoetrope. Are you funny? Do you like jokes? 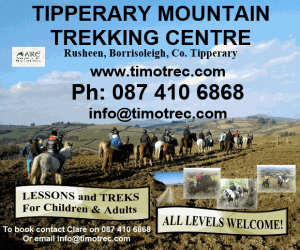 Are you looking for a fun activity? 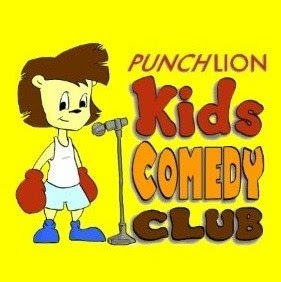 Then join the Punch Lion comedy workshops with Sharon Mannion from ‘Moone Boy’ and ‘Republic of Telly’. 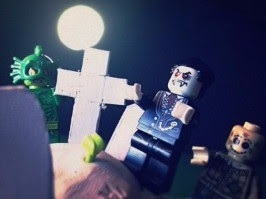 Another stop motion masterclass from Createschool for serious Brick Flicks enthusiasts. Fine tune your production skills as you create a deadly Halloween themed set, materialise monsters and zombify characters. The Hairy and The Fairy do not get on but the sparkly Fairy needed something badly and she knew there was only one person who could help, The Hairy. Will she be able to make him listen to her plan? 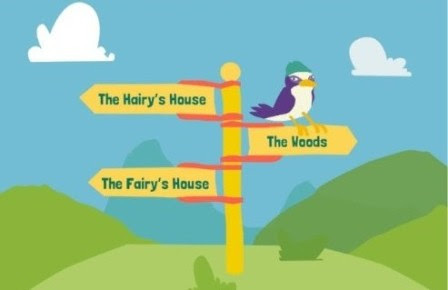 HELP them get through the woods with some wonderful sound effects created by YOU! 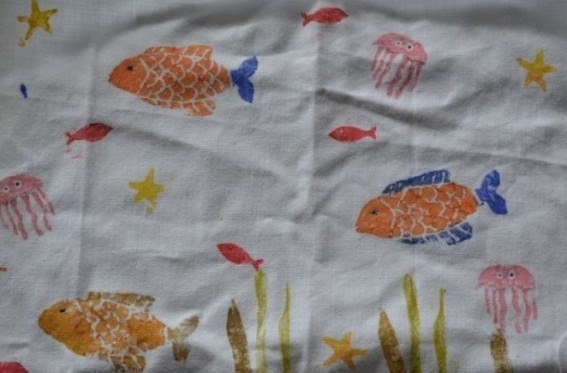 Participating children/teenagers on this workshop will travel into the beautiful world of printed textiles. They will gather inspiration from our natural and built environment. Creating their own printing blocks participants will learn about repeated patterns, dyes and colour mixing. 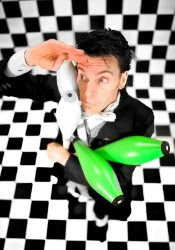 Monsieur Gusto, the worlds most amazing Juggling Escapologist sensation, has a show that you just can’t miss! Not only does he Juggle Fire Torches, Toilet Plungers and Water Balloons while Balancing on top of people just like You. 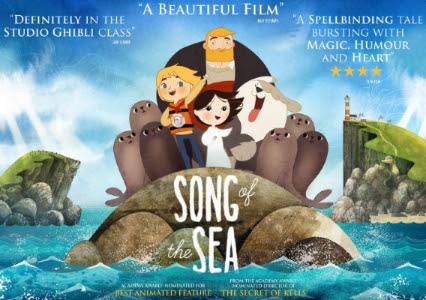 Song of the Sea follows Ben and his little sister Saoirse – the last Seal-child – who embark on a fantastic journey across a fading world of ancient legend and magic in an attempt to return to their home by the sea. This film was nominated for an Oscar in 2015. This is one both kids and adults will enjoy. Hallowe’en is a special time in Nenagh, when the ghosts and ghouls come out to play. 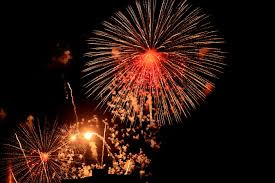 You and they are welcome to our annual fireworks spectacular at Éire Óg GAA Complex. Come dressed up in your best Hallowe’en costume and make sure the family are suitably gruesome too. A recently deceased married couple, played by Geena Davis and Alec Baldwin, are stuck haunting their country home. 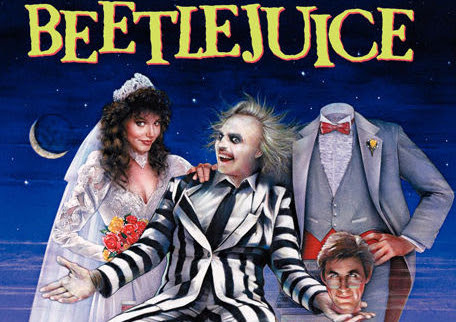 The couple contract the services of Beetlejuice, a rambunctious spirit and a “bio-exorcist”, to help remove the new obnoxious owners from their home. However, Beetlejuice’s help quickly becomes dangerous for everyone involved. Stay around after the movie for a disco of haunting music, prize for the best male and female outfit on the night. This event will be supervised and will strictly end at the witching hour. This event is aimed at 12 – 16 year olds. Spaces are limited so early booking is advised.